In this program Dr. Brian Ray takes you through an engaging and fact-filled presentation as he reviews research and analyzes important societal assumptions. Can untrained, non-certificated parents successfully teach their children to read, write, and do arithmetic? But how will they do in the "real world" of college and work? Who should be training and indoctrinating the hearts and minds of your children? Are homeschoolers just hiding from life around themselves or are they actually changing their communities and nations? Does home-based education restrict or advance freedom in liberty-loving nations? Brian D. Ray, Ph.D., is president and founder of the National HomeEducation Research Institute (Salem, Oregon, U.S.A.). 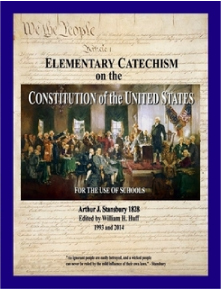 Dr. Ray has conducted and published numerous studies on homeschooling, speaks widely to the media, professional meetings, and homeschool conferences, and provides expert testimony before many courts and legislatures. Dr. Ray earned his Ph.D. in science education from Oregon State University (Corvallis, Oregon, U.S.A.) and has served as a teacher in public and private schools and as a professor. His publications include "HomeSchooling on the Threshold." Dr. Ray is considered a leading expert on home education in the United States and internationally. Dr. Ray's family has been featured in "The Teaching Home" Magazine [left].